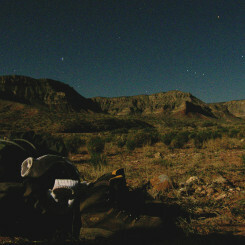 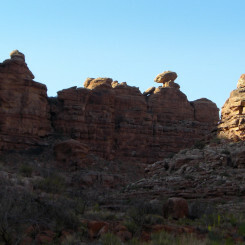 Hayduke: Deer Creek to Hack Canyon – Across Utah! 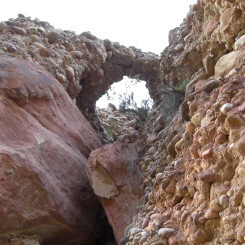 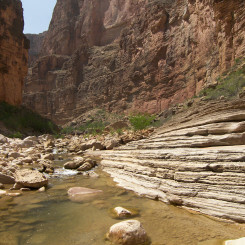 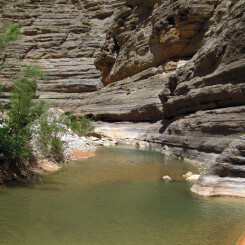 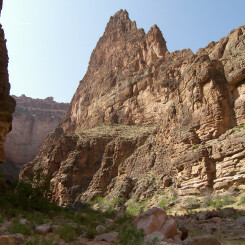 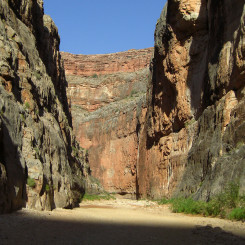 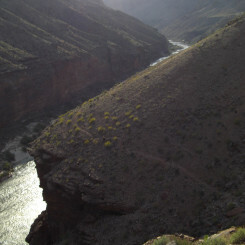 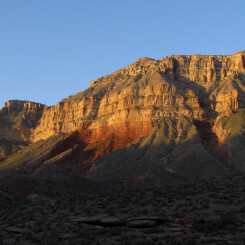 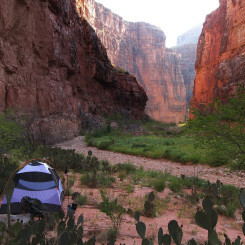 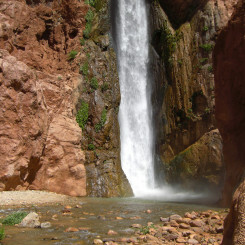 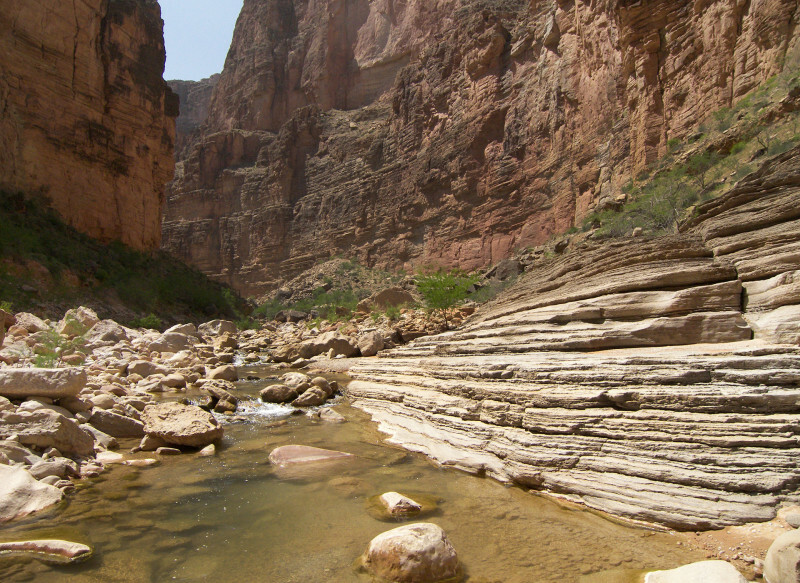 The stretch of the Hayduke Trail in the Grand Canyon which connects Deer Creek to Hack Canyon is fairly tough. 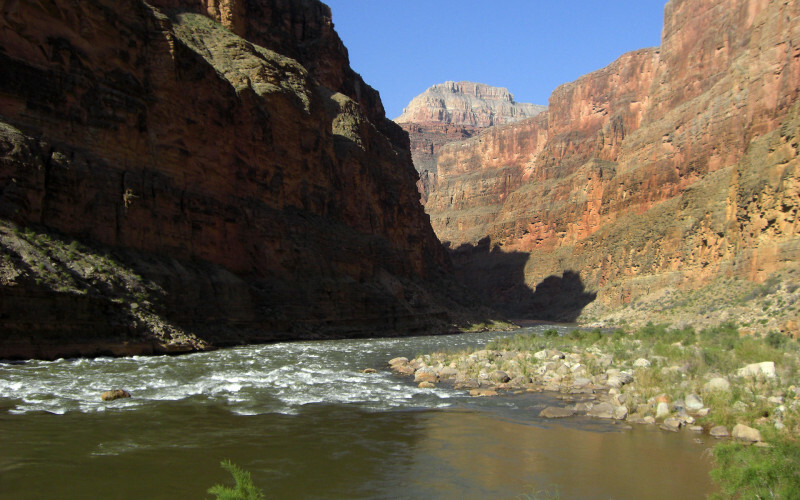 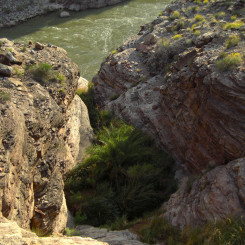 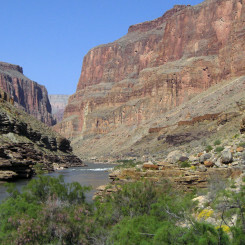 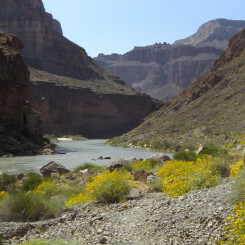 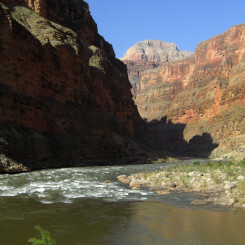 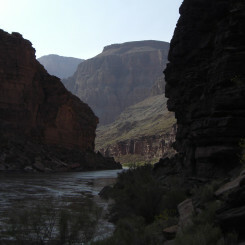 The portion along the Colorado often hugs the slanted slopes above the river where one must be on guard constantly against cactus and sharp rocks wanting nothing more than to poke the unsuspecting hiker. 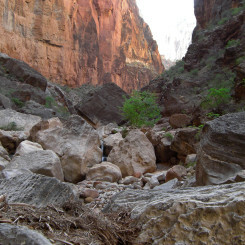 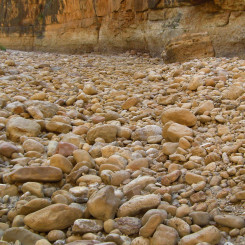 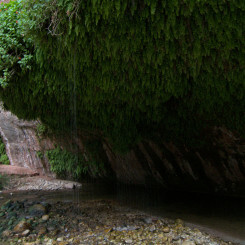 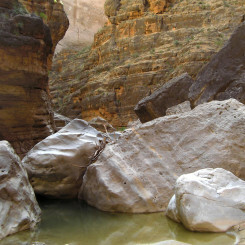 Then the stretch up lower Kanab Creek requires pool dodging, several minor scrambles over boulders, and then several miles trudging up a wash filled with ankle-breaker cobblestones. 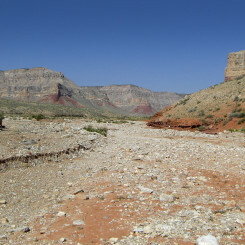 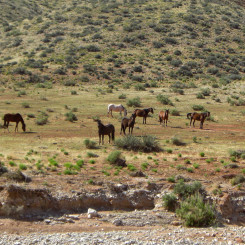 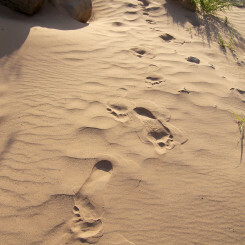 The portion through Hack Canyon is barren and can be a scorcher. 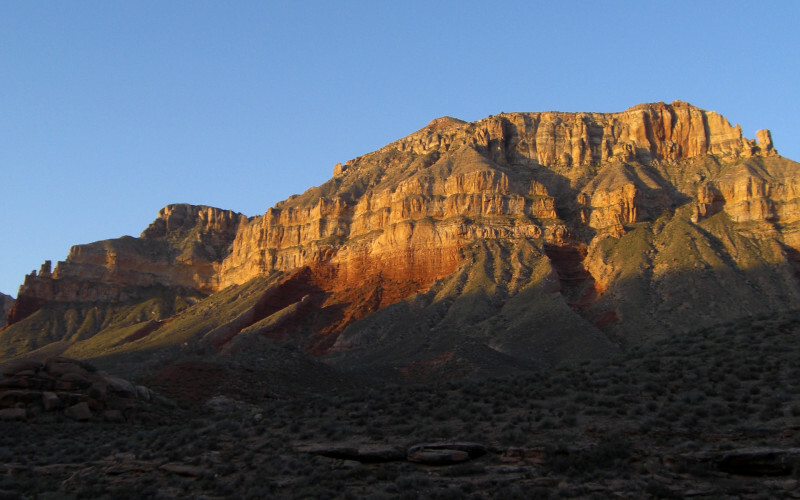 Despite the slow nature of the route — it’s still amazing.